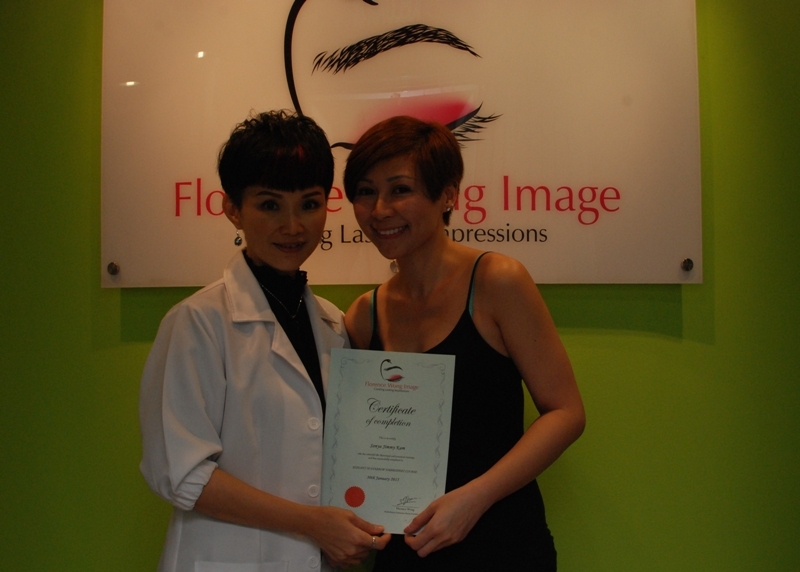 Thanks Ms Callie(Switzerland) for the sharing, Appreciated…….. 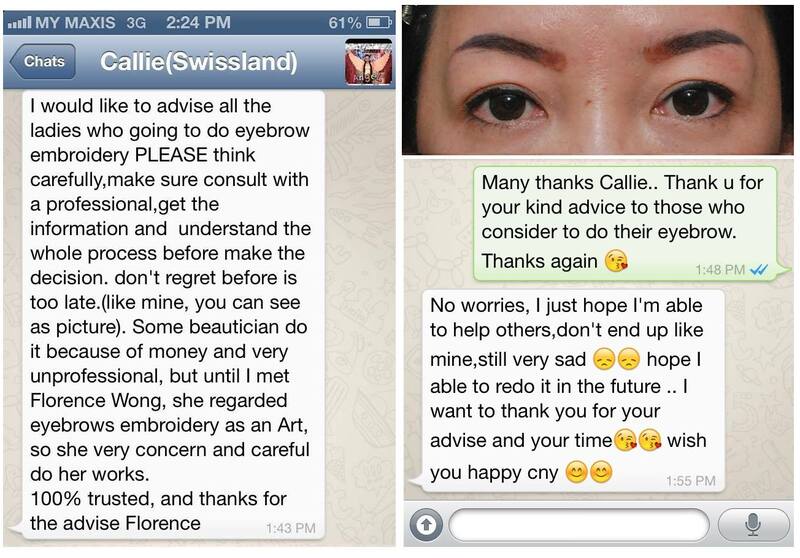 I would like to share Callie’s (Switzerland) experience which I hope will be useful for the other. 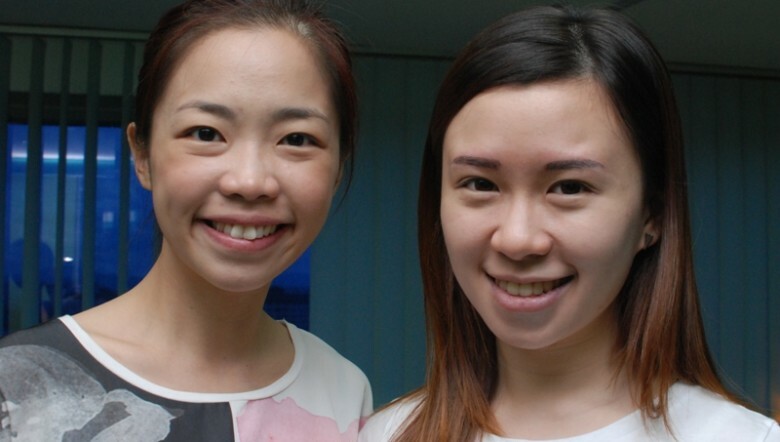 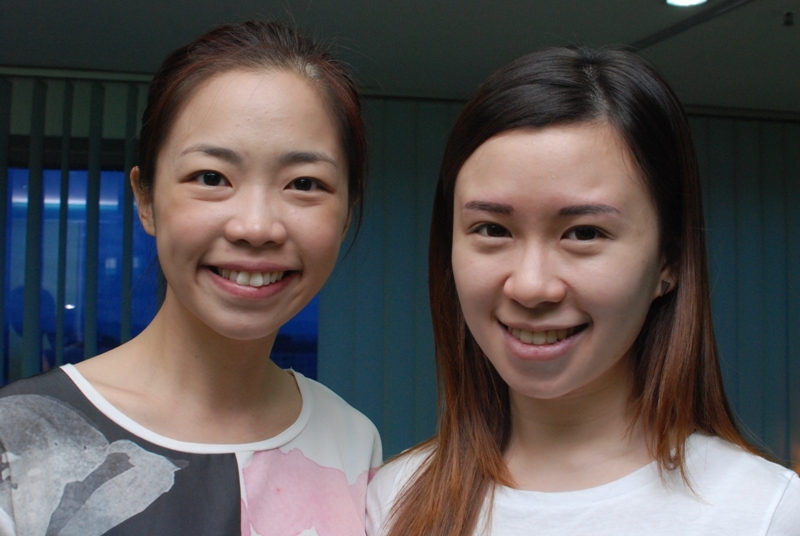 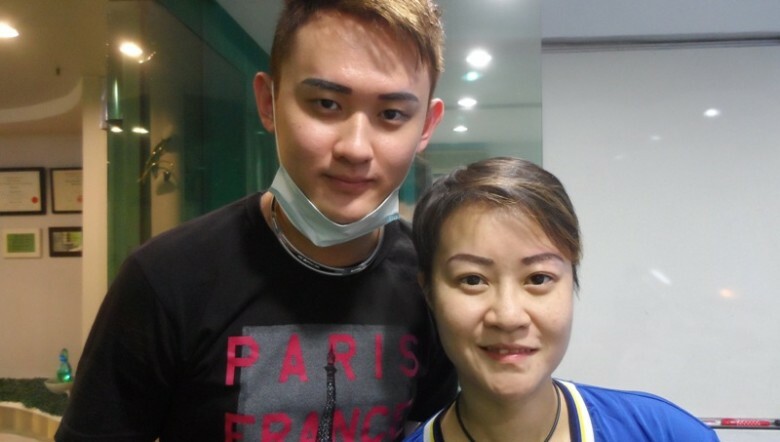 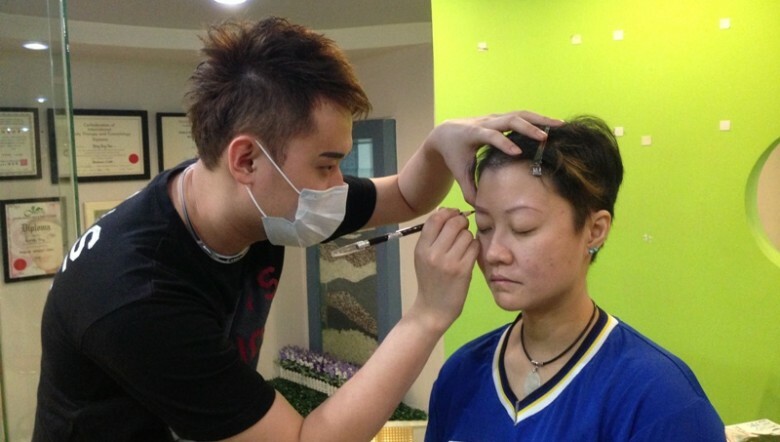 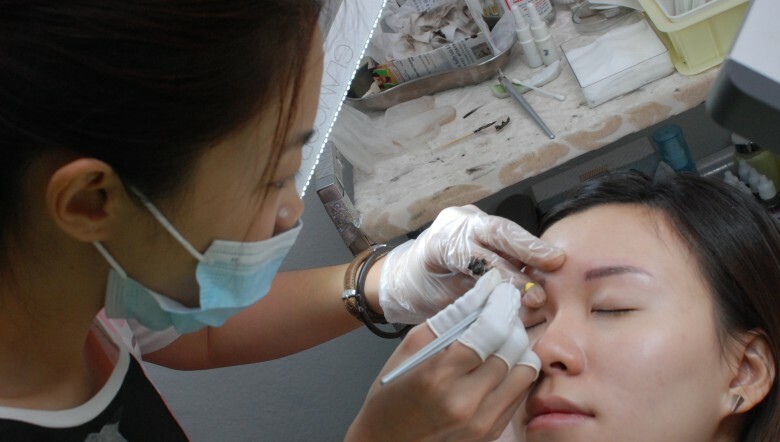 I felt sorry for her having such a bad experience on eyebrow embroidery with her beautician. 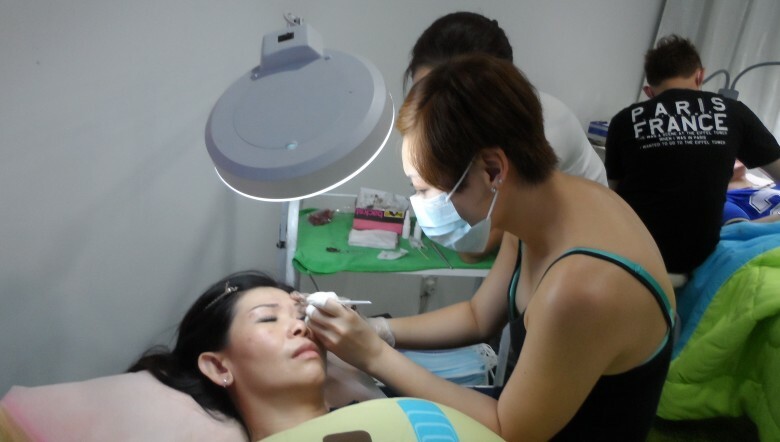 Her botched eyebrow gives her eye a strange lopsided look and the color is too dark for her. 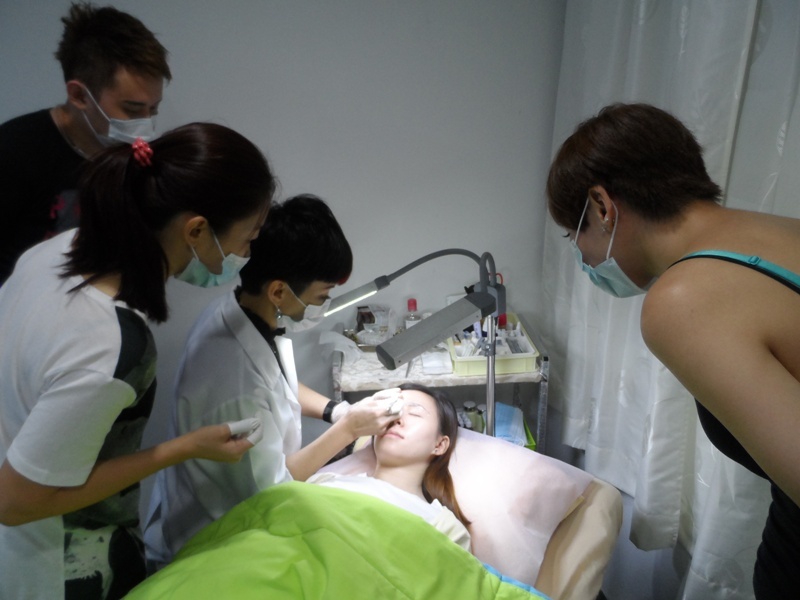 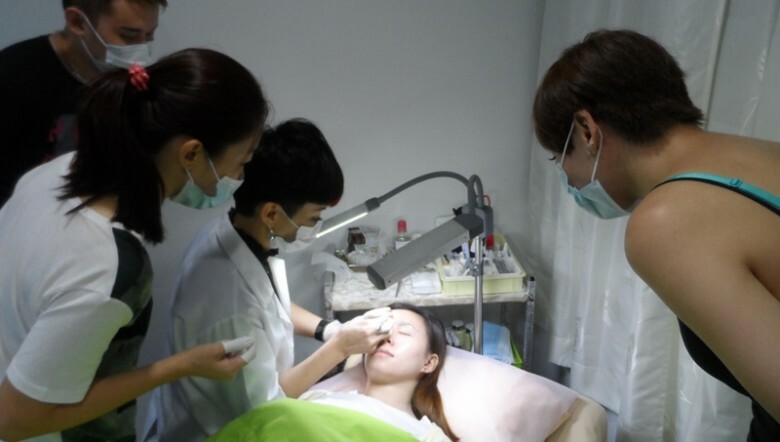 Yes, she can do a laser remover now, but after several laser sessions skin will become thinner and might not get it 100% out too. 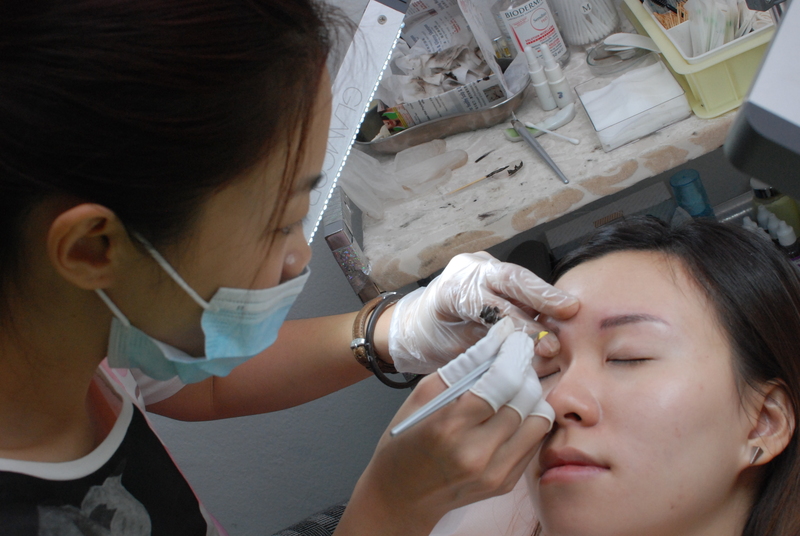 Moreover, the risk of scarring is higher with those had sensitive skin. 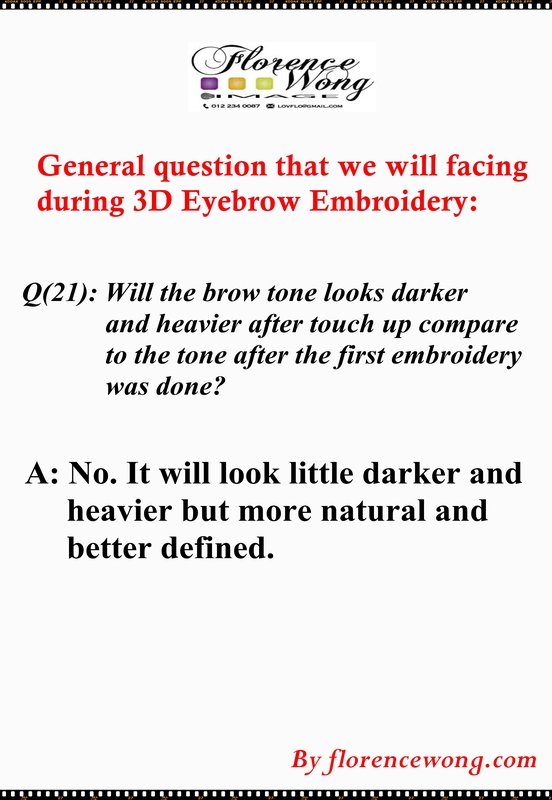 All that she can do now is wait. 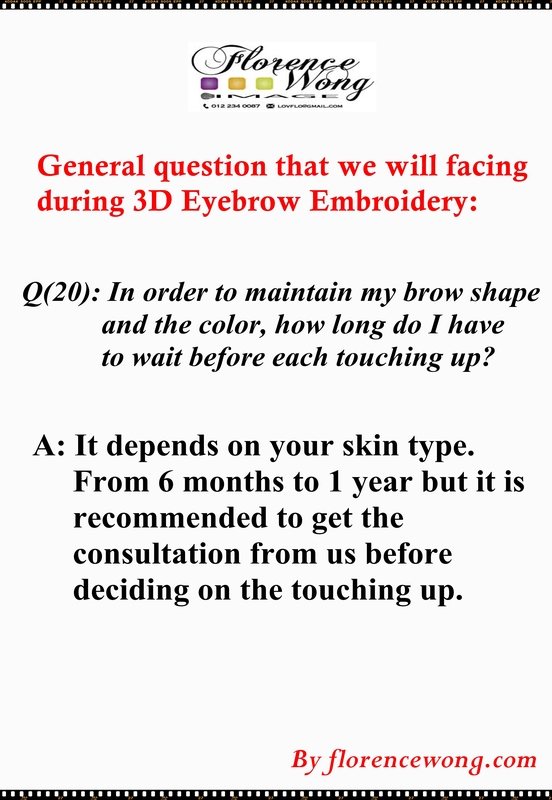 Wait for the embroidered brow color to fade before she can re-design and re-embroider her brow. 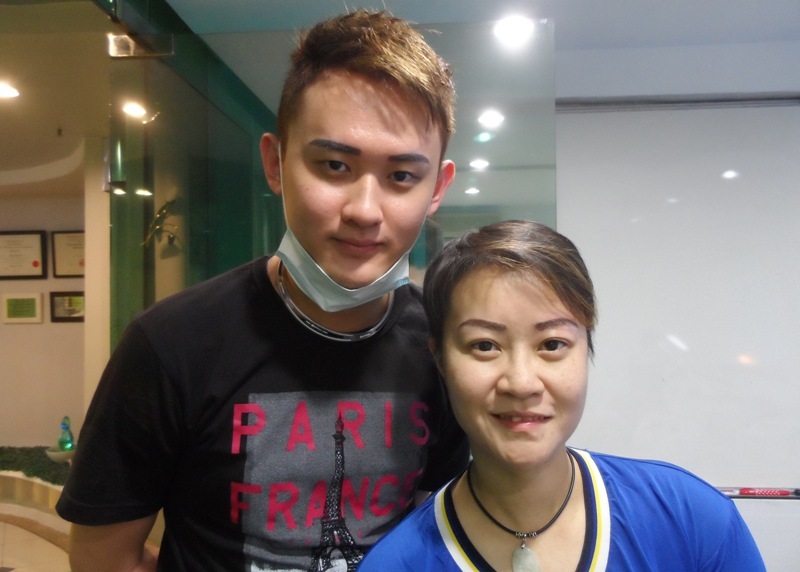 Appreciate that he allowed me to use his full face picture for my profile. 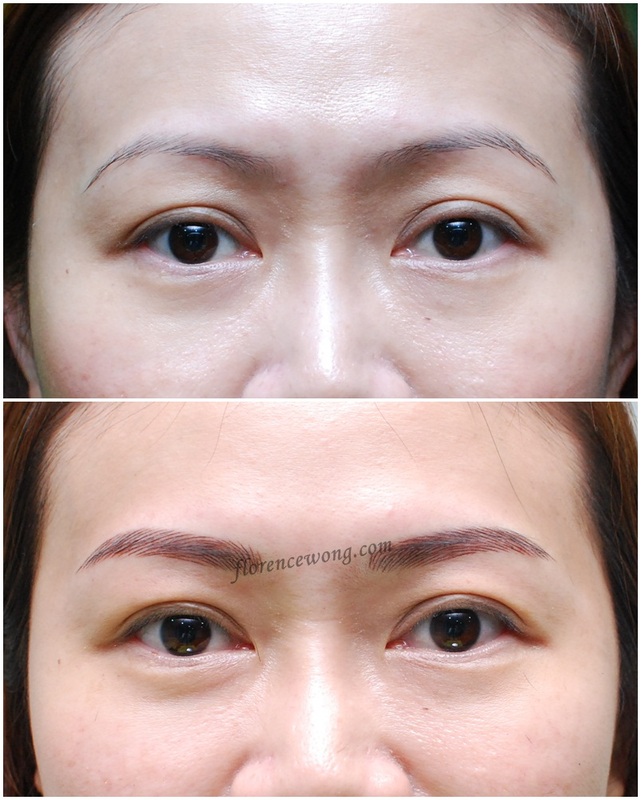 A thick brow with scars and scarce end brow. 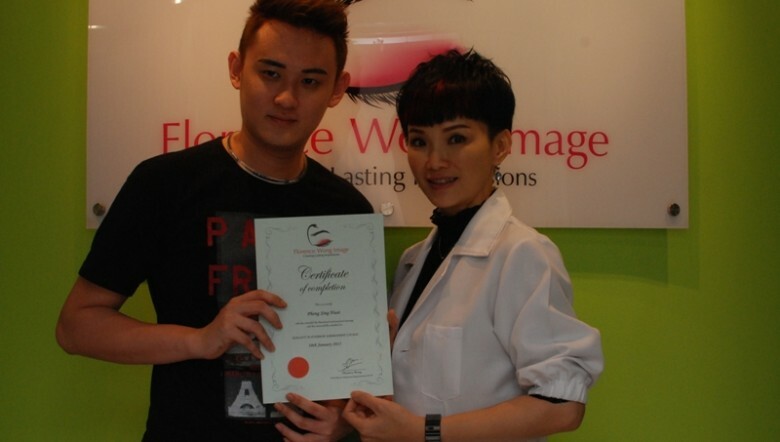 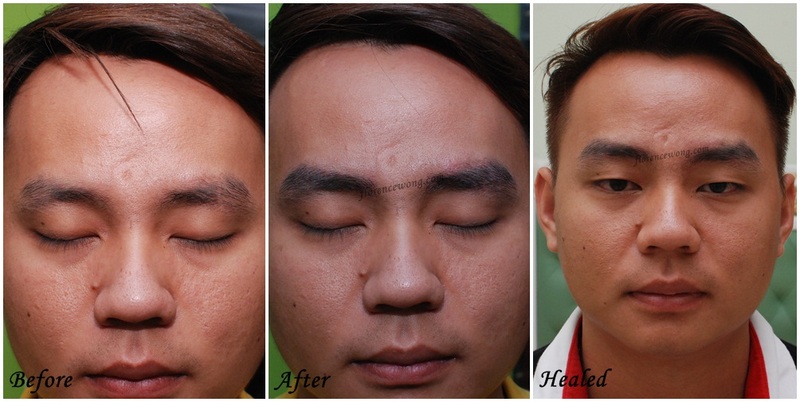 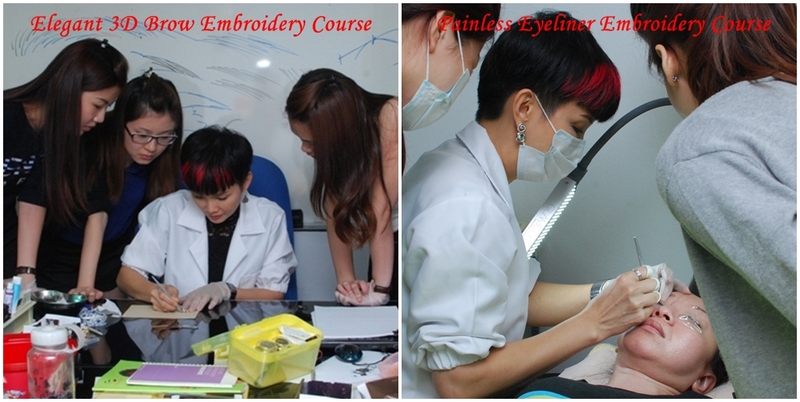 With the Elegant 3D Brow Embroidery, now he has got a perfect well balanced and defined brow. 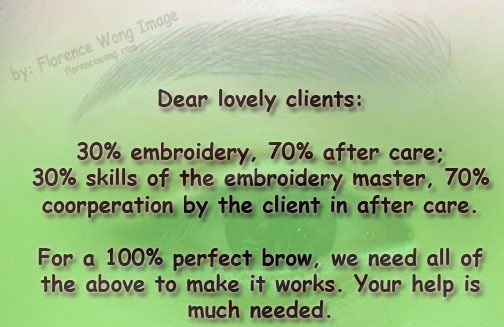 The Guideline to a Perfect Brow………..
Arch brow muscle little deep set, end part eyebrow little droopy. 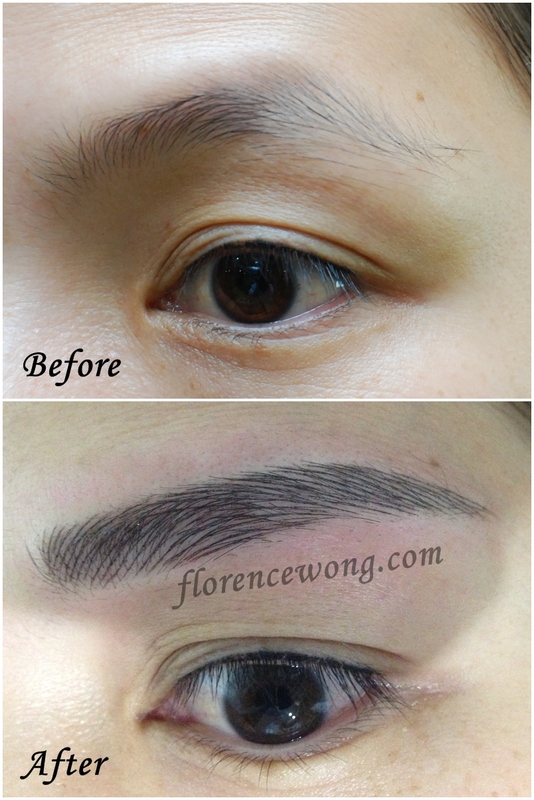 Re-design: round shape design for arch part brow, and lifting up with a beautiful defined end brow.